At a recent trade show, I needed time away from my booth staffing duties to rest my aching feet. After bypassing the lounge areas, I nested in a comfy red upholstered chair set in a glass-enclosed catwalk about 30 feet above the center of the trade show floor. From this quiet perch, I could relax but also secretly watch exhibit staffers across a dozen exhibits on the floor below me. I was shocked by what I saw – small clusters of two or three of them standing or leaning in their exhibit space chatting with each other while attendees ambled unengaged along the adjacent aisles. Why is it still a challenge for many exhibiting companies to choose and train productive staffers to work their trade shows? How do marketers justify their trade show spend to management if their staffers aren’t maximizing their return on investment and objectives? Through many years of experience, I’ve found three culprits: failure to define staffing size and roles plus choosing the right people to fill them, lack of training, and little or no visibility from top management promoting and rewarding top staffing performance. Several industry studies have shown that in general, exhibitors should provide one staffer for each 50 sq. ft. of non-occupied floor space (non-occupied means the amount of floor space void of exhibit properties, equipment or furniture. One staffer for less than 50’ free sq. ft. of floor space makes for too many staffers (off-putting to attendees) while one staffer for more than 50’ sq. ft. means there probably won’t be enough staffers to handle the job. A smaller inline space (10 x 10) needs an engager (also called a brand ambassador or crowd gatherer) and a subject matter expert (SME) at the very least. If these two staffers are skilled at engaging attendees and are SMEs as well, that is the best scenario. However, keep in mind that two SMEs who aren’t good at engaging or two engagers who aren’t well versed in the products or services offered are destined to underperform. In larger spaces such as peninsulas, split islands or islands, match staffer roles to their strengths, such as booth manager (think HR and logistics manager for the team), crowd gatherer/brand ambassador (highly social and working the aisles), subject matter expert (SMEs), presenters/demonstrator and media relations expert. Remember, when it come to the roles to fill, high-performing exhibitors choose staffers based on their skill sets, not geographic locations or job titles. Attend any sporting event and you will see something amazing…the top players out on the ice, pitch, field or court are practicing. Why do top performers spend extra time and energy re-doing what they do over and over? Why not just start the game? Because the attention to detail and replication of the skills keep them at the top. My work as a sales trainer for 15 years told me a different story about many veteran salespeople. They resisted training because they believed they were already good at what they did and, furthermore, training would take time away from selling. As marketers and trade show managers, we have to fight this resistance to train, or, better yet, choose staffers who are ready, willing and able to practice their staffing skills well in advance of the show. I know of one company who got 104 leads at a medical show and determined that they underperformed because of poor staffing skills. At the same show one year later with the same exhibit, their well-trained staff collected over 400 qualified leads! High performing trade show staffers need training and coaching that set expectations, rehearse and role play skill sets before the show, managing and guidance during the show and feedback and recognition after the show. How many company CEOs or Presidents make clear that they are proud of the selflessness of their employees who travel to and work trade shows effectively on behalf of their company? How many officers stress the sacrifices exhibit staffers make leaving their families, often over weekend, to work long hours before during and after the show? How many companies recognize the trip booth staff performers on bulletin boards, internal video screens, newsletters and other company communication channels? According to a 2017 survey of B2B exhibiting companies by the Center for Exhibition Industry Research (CEIR), trade shows and events represented over half of the marketing spend for these companies. They use face-to-face marketing because, when done well, it produces excellent returns on investment and objectives. When companies select, train and recognize top booth staffing talent, they maximize the return on their trade show and event investment. When viewed from a catwalk, a top performing booth staffing team is a cakewalk. For over three decades, Bill has worked in the events/trade show marketing industry. He was the corporate sales trainer for Skyline Exhibits, Inc. from 2000-2013 and has run his own consultant services since 2014. Trained in consultative selling, social styles, negotiating, presentation skills, advanced discovery and customer service, he now creates and delivers seminars and trainings on trade show marketing to exhibiting companies in the US and Canada. Additionally, he is an accomplished tenor (4-string) guitarist who writes, performs and records his own songs and often brings that performance dynamic to his trainings. Bill is a strategy consultant for Skyline TradeTec of Lombard, Illinois. 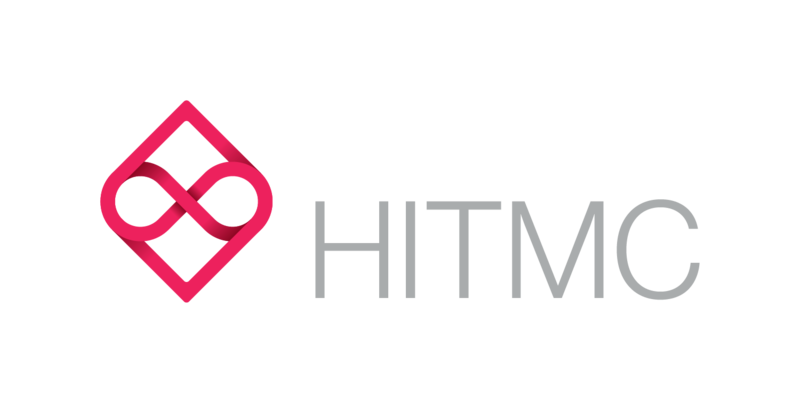 Be sure to check out Bill’s session at HITMC19 – “Stop turning away leads from your booth. Trained, savvy booth staffers can double your results”, Wednesday April 17th, 2:50-3:35pm. TradeTec is a HITMC19 Diamond Sponsor.